While studying, Minister Masutha became passionate about the rights of people with disabilities. He founded and participated in movements for disabled students at both universities where he studied, advocating for appropriate support and challenging the apartheid regime’s treatment of the blind and other disabled people. Adv. 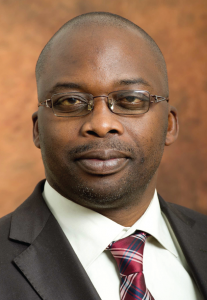 Masutha was the Deputy Minister of Science and Technology from 09 July 2013 to 25 May 2014. He has been a Member of Parliament for the African National Congress since 1999. He was a founding member of the Northern Transvaal Association for the Blind in 1986. For seven years (1989 to 1996) he served on the Executive Committee of the National Council for the Blind during which time he advocated for the removal of discriminatory laws against blind people. He has also represented the disability rights movement in policy and legislative reform processes at regional and international levels. Minister Masutha’s activism extended beyond the borders of South Africa and he became co-founder of the Equileg Programme of the Southern African Federation of People with Disabilities, aimed at promoting equal opportunities legislation in Southern Africa. In August 1991 he participated in a delegation of the Human Rights committee of Disabled Peoples’ International-DPI (a global Human Rights movement of disabled persons) to the United Nations in Geneva to lobby for the inclusion of disability as a human rights issue under the UN system (and not just as a health and welfare issue as has been traditionally perceived). In 1995, Minister Masutha was admitted to practice as an advocate of the High Court of South Africa. From 1991 to 1996 he was Director of the Disability Rights Unit at Lawyers for Human Rights – a project (which was a joint initiative with Disabled People South Africa) providing legal assistance to persons who were unfairly discriminated against on disability grounds. Minister Masutha served on the Commission of Inquiry into Special Education Needs (1997) that recommended a new inclusive education system for all learners, including those with special needs. The commission’s work culminated in what is currently known as the White Paper 6 in Basic Education. In 1996 he was appointed as Head of Legal Services in the Department of Social Development, where he specialised in Children’s Rights and Social Security Law. In 2000 he served on the Tailor Committee (a Southern African Regional Poverty Network (SARPN) project) that recommended the introduction of a comprehensive social system for South Africa. Minister Masutha has been a Member of Parliament since 1999, representing the African National Congress. He served on a number of committees, including the Justice and Constitutional Development Committee, the Rules Committee and the Constitutional Review Committee. He chaired the Social Development Committee, the Standing Committee on the Auditor General, the Subcommittee on Review of Rules the Ad hoc Committee on Delegated Legislation, the Ad Hoc Committee that nominated the current Public Protector. He also served on the Judicial Service Commission from 2004 to 2009, and is currently serving on the Magistrates Commission.